The Gardens Nursing Home Earns 5-Star Quality Rating from CMS! The Gardens, a nursing home at Episcopal Homes, recently earned a 5-star rating from the Centers for Medicare and Medicaid Services (CMS) Nursing Home Compare quality rating system. 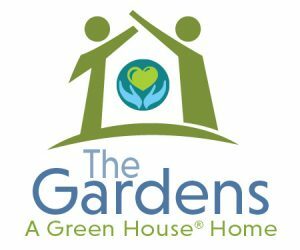 The Green House Model of Care at Episcopal Homes – The Gardens has proven to be a “person first” model of care that you can feel great about! Ten spacious private rooms, each with private bathrooms, surround cozy community spaces in every household at The Gardens. Households have their own living room, fire place, kitchen, and dining room, designed to feel like home. 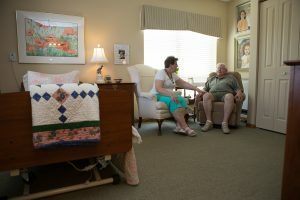 A study conducted by the Green House Project found that over 80 percent surveyed had concerns about their loved ones living in a conventional nursing home because of the lack of individualized attention, institutional atmosphere and the loss of independence. The Gardens was designed to address each and every one of those concerns. Daily life at closely mirrors the experience of living in a private home with family caregivers. Staff ratios are almost double the average care center, so caregivers become familiar faces, like family, who cook, clean, and provide cares for you each day. While no rating system can address all important considerations involved in a decision about the best nursing home for you or a loved one, CMS created the Five-Star Quality Rating System to help compare nursing homes more easily and to help identify areas about which you may want to ask questions. The Gardens’ five-star rating reflects the quality of innovative care provided within a comfortable home-like atmosphere. To experience the five-star difference for yourself, PLAN A TOUR or contact Ian Bruess, Director of External Relations: 651-288-3693.